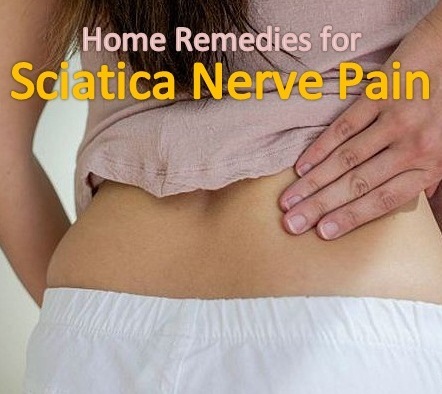 The irritation and pain caused by the pressure exerting on the sciatic nerve then it is said to be as sciatica. It is a serious condition in which a human being could not be able to walk or move properly. The severity of pain extends and becomes unbearable. 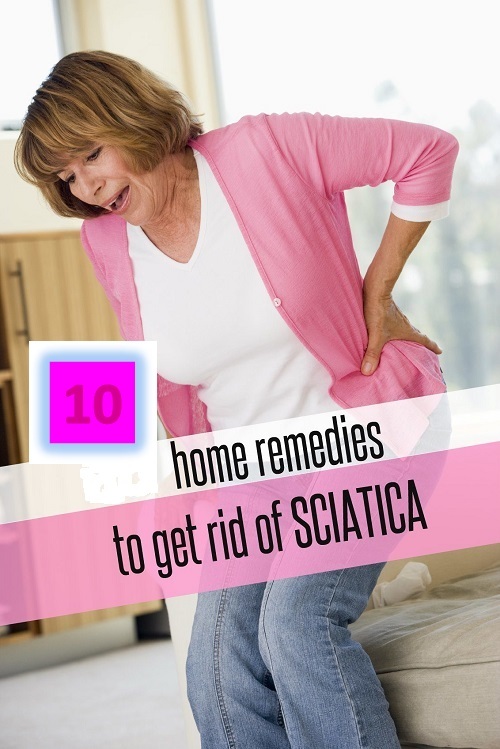 The targeted area of sciatica is generally takes place from the lower back to the thigh and down the leg. The symptoms included are tingling, prickling and burning. The entire parts of leg are affected, numbness and weakness gradually feel. 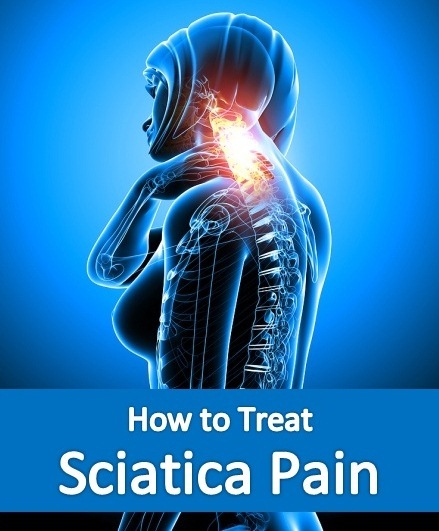 Sciatica occurs due to the herniated or disc slip. Sometimes it may be due to the injured spinal cord or infected area, degenerative disc disease, pregnancy, spinal stenosis, piriformis syndrome, isthmic spindylolistheses. Hot or cold compress, both are useful for this purpose, hot compressor soothes the pain of sciatic nerve and make you feel relax for a long period of time. Cold compress is used to reduce the swelling around the sciatic nerve. Both of the therapies could be used at a same time. First star with the hot compress then end it with the cold compress. While taking heat, place a steamed towel near you as it is more effective. Place a hot and cold compressors on the affected area for 20 minutes. Do this remedy every few hours until you feel relax. People with circulation difficulty are forbidden to use this remedy. Turmeric is also an effective herb and easy to use. It contains anti-inflammatory properties and a compound called curcumin that is responsible for reducing the pain inside the nerve. In a cup of milk, add 1 tsp of turmeric powder. You can also use a small piece of cinnamon stick for aroma. Boil the solution then add some honey for taste. Drink it two times daily. Alternatively, you can consume 250mg to 500mg of turmeric supplements 3 times a day for several weeks. But do not forget to consult the doctor first. Turmeric is not recommended for those patients suffer with blood thinning, gallstones or diabetes. Massage can relief the sciatica pain also increase the immunity of your body if it is produced by the muscle spasm. It is also useful for releasing the tension, stimulate circulation and increase the range of motion. 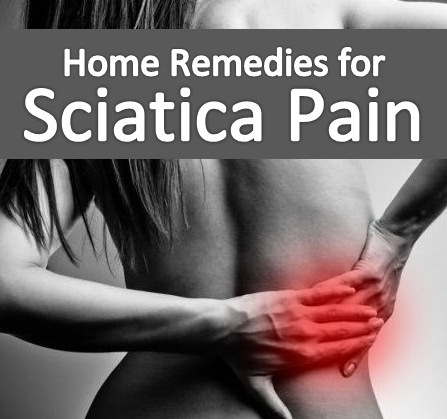 You can use St. John’s Wort oil 3 times a day for massage the sciatic area. St. John’s Wort oil contains anti-inflammatory action against the sciatic pain and inflammation. Another thing that you should do is mix 3 tbsp of nutmeg powder into 1 cup of sesame oil then heat it slightly. After it gets cool, massage the affected area. Do this remedy few times a day. Exercises fasten the blood circulation so it is necessary to make a daily routine for doing lots of exercises in order to maintain your bones and body balance. It is thus highly beneficical for sciatica. The recommended exercises are backblock, knee to chest, stretches, back extensions, stretches and yoga moves, knees rocking, floor twists, etc. Capsaicin is an ingredient found in the cayenne pepper that is used as a natural home remedy. It stops the pain signals by lowering the levels of a neurotransmitter substance P.
Capsaicin cream is available in the market. Buy a cream containing 0.025% to 0.075% of capsaicin. Apply it directly on the affected area for minimum 4 times a day. Make sure that do not apply this ointment on the cuts and broken skin as it causes burning sensation at the initial point. Velerian is a root through which a natural remedy can be prepared. It is reliable in easing the pain caused by muscle spasm. The valerian is used because of the presence of certain volatile oils that are responsible for relaxing the body muscles. Valerian root supplement is taken as 150mg 3 times a day for few weeks after taking advice from doctor. You can also prepare valerian root tea in a minute by mixing 1 tsp of dried velarian root in a cup of hot water then let it steep for 10 minutes. Drink this tea few times a week. It is also a kind of herb that helps in chronic nerve pain and produces long lasting effects. A compound is present called phenolic glycosides with salicin that works to provide analgesic advantages. You can use white willow bark supplement of approximately 120 or 240 mg salicin daily for several weeks. A bandage is prepared with the help of fenugreek seeds is also good for relieving the sciatica pain. The anti-inflammatory properties of fenugreek help in soothe the pain and rheumatoid arthritis. Take a handful of fenugreek seeds. Boil the grinded fenugreek seeds in an adequate amount of milk as to prepare a paste. Apply the paste on the affected area as a bandage. Leave it for some hours then rinse it off. Acupuncture is another affective remedy to ease the pain of sciatic nerve. It helps in relaxing the pain itself. Acupuncture refers to the areas of the pressure points in your body. According to the researchers, along with the acupuncture points, central nervous system is also concerned and gets stimulated. Throwing a force on the acupuncture points immediately secrete some chemicals responsible for the change in the perception of pain and produce relaxation. The study published in 2009 in the Journal of Traditional Chinese Medicine have found that if you use warm acupuncture using the heated needles will definitely help in improving the sciatic nerve pain. You should always get the therapy done with an experienced acupuncturist. Chiropractic spinal manipulation is an excellent natural treatment and is popular among the world. It is a treatment done for the neck and back pain. There must be some great techniques applied to do a chiropractic spinal manipulation that include rapid, short thrusts for eliminating the nerve irritability and other symptoms related with sciatica. The Journal of Manipulative and Physiological Therapeutics have evolved in 2010 that they have found great response regarding the spinal manipulation about 60% patients suffered with sciatica as a same level of degree as they could find by surgical interference. Do not try to move suddenly. Make your posture proper as to avoid any kind of lower back pain. Learn lifting techniques with your back straight and knees bent. Mattress should be used to sleep that would neither so firm nor so soft. Get regular exercises for an appropriate time. Avoid smoking as it is the cause of degeneration of disc slip. Consult your doctor for consuming vitamin C, calcium and magnesium supplements.